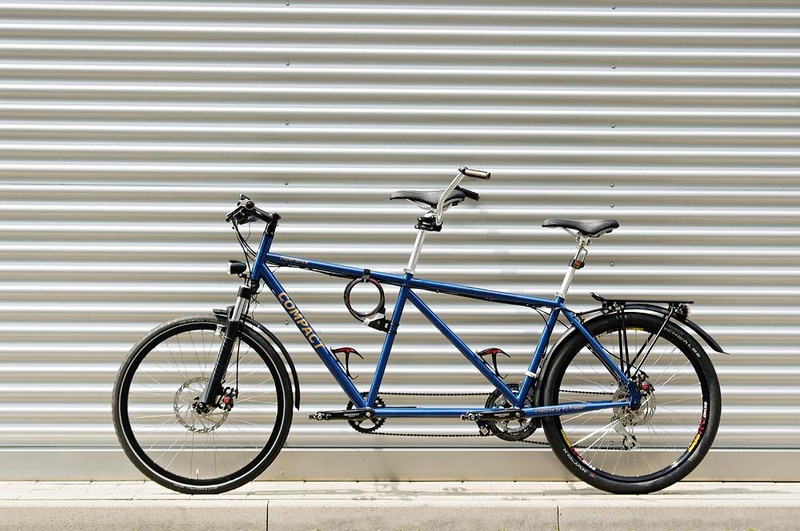 The Velogical Compact Tandem is a short lightweight tandem bike with amazing tight turning circle. The right-handed synchronous chain enables direct power transfer and the use of high quality standard components to minimize weight and wear. Optimised aerodynamic properties, thanks to the sophisticated frame geometry, increase the efficiency pedaling at higher riding speeds. 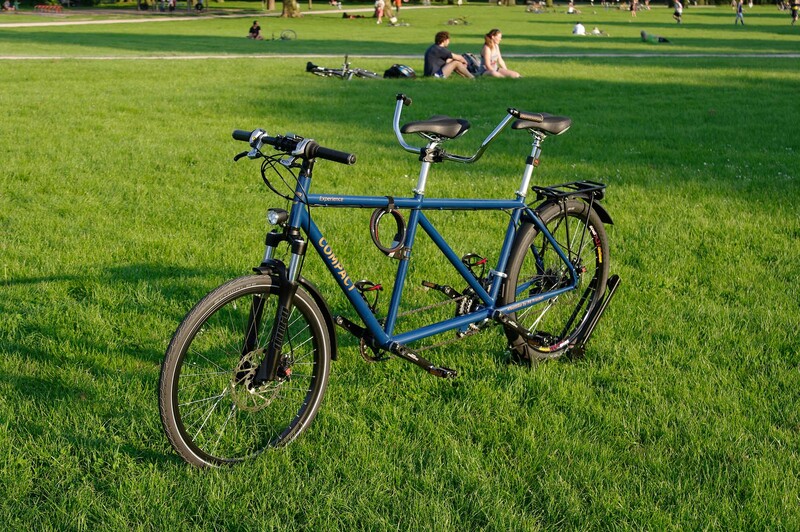 The classic features of a tandem complete the overall performance: traffic-safe communication during the trip, in addition to protection from the headwind for the Stoker, shared experiences, arrival together. 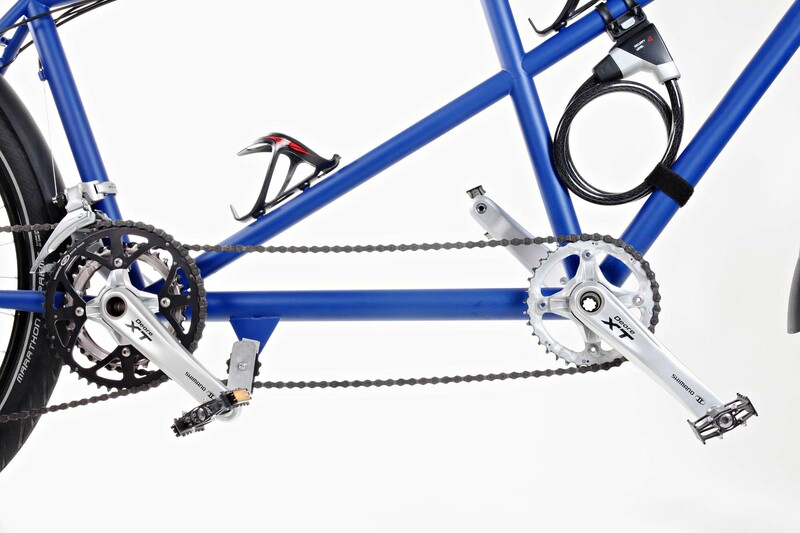 The Velogical Compact Tandem is currently offered in one frame size. The proportions of the tube dimensions of this framework are recommended for people with a height up to 185cm and a weight of up to 85kg i. 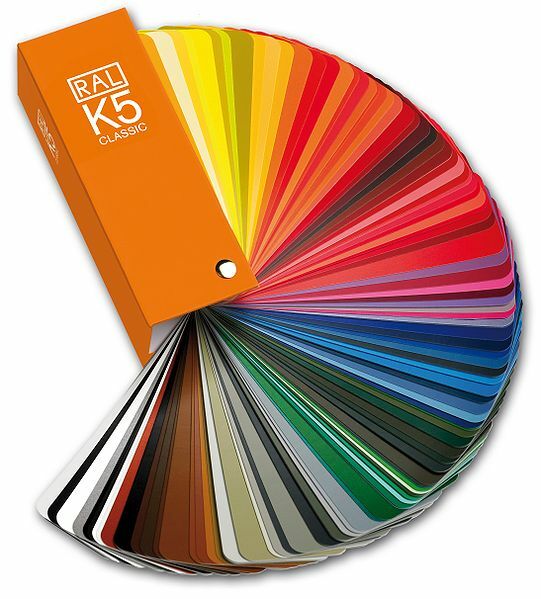 Within this range, the optimal fine tuning can be perfomed by the individual choice of components. 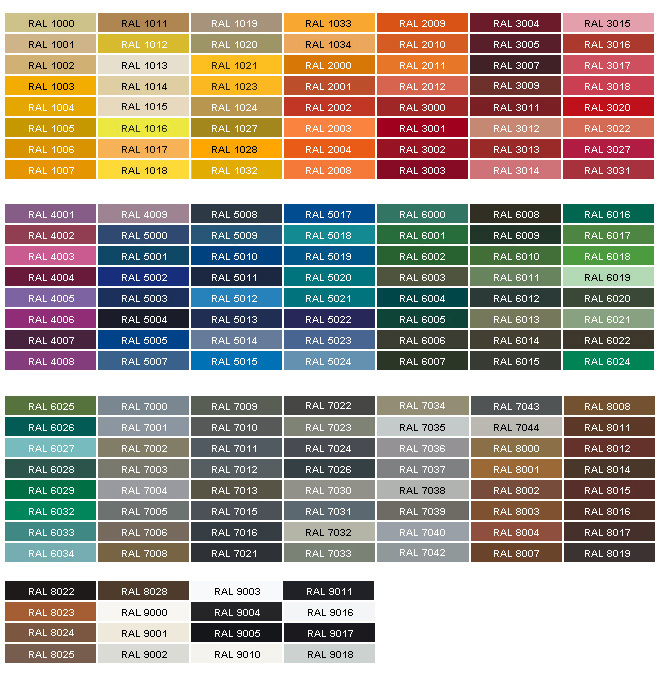 For body measurements outside the recommended optimum range there is, in our experience, still a generous tolerance range for the appropriate use, because of the multiple options when choosing and adjusting components. Our tests with drivers with a body length of 200cm went really smoothly, but we recommend in these cases definitely a personal appointment with us to ensure a satisfactory solution for the customer. COMPACT dynamo / VELOGICAL eng. Tensioner Tacx Jockey Wheels "T4090" 11teeth with ball bearings! Rear seatpost Sitting Bull suspension seatpost "Fool Bull"
Sport version - caliper CONTEC MTB / ATB saddle "Volare Hybrid"
Sport version - caliper rear CONTEC MTB / ATB saddle "Volare Hybrid"
At the end of our tandem trip along the Lahn in the autumn of 2009, my partner M. and me left behind our 28 "tandem. Without any suspension and with its narrow, hard-edged tires, it lacked all the comforts and on top of that it was not even particularly fast. - I thought, it must be possible to move around much more elegant. On the weekend of our return we started an intensive Internet search for a suitable successor vehicle. 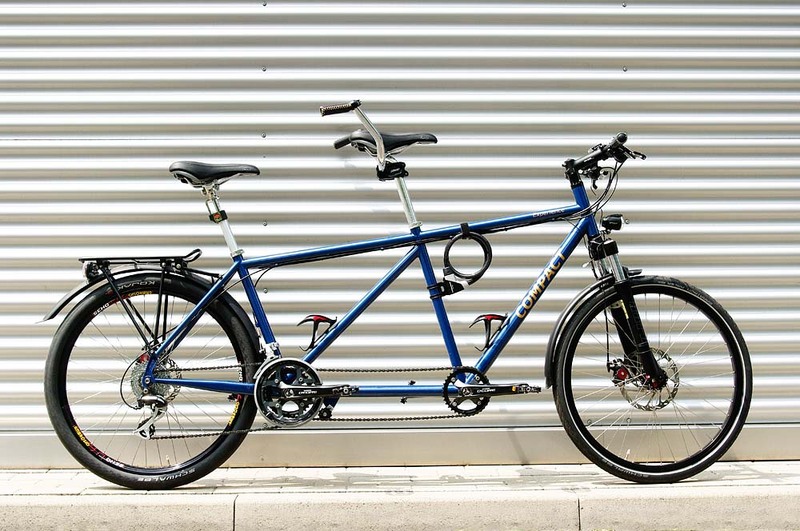 The aim was to find a tandem that runs smoothly over bumpy roads and elegantly around the corner - but unfortunately there was no real hit on the market aviable for us. 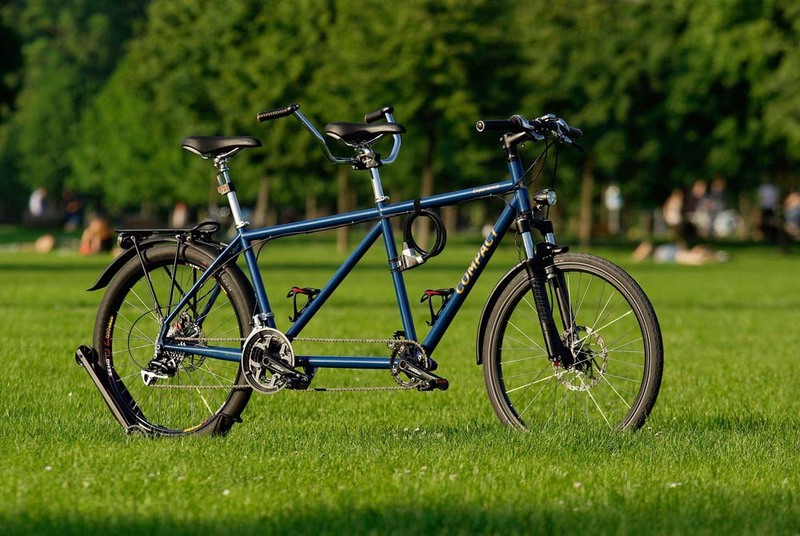 The only model that came quirte near to our expectations after a long search was a lonely no-name used tandem. At least, the frame geometry already fitted halfways into our concept. 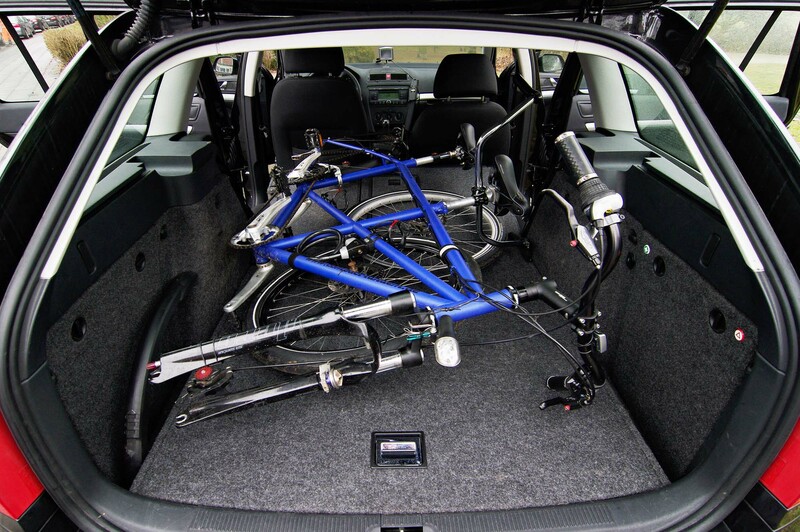 Our "suffering" was great and so we went on the same weekend to Nuremberg to pick up the vehicle there. With tools, welding and lathe the rear head tube was improved. Then the tubes were repainted and then the wheel was completely rebuilt - of course with new and better components. The result proved gave us the feeling of a giant step in the right direction and in the following time I was still optimizing the wheel and tire combinations decided to reduce the rolling resistance. After the experience of this project study, one and a half years later, I invested time again in order to optimize the tuning of the frame geometry. 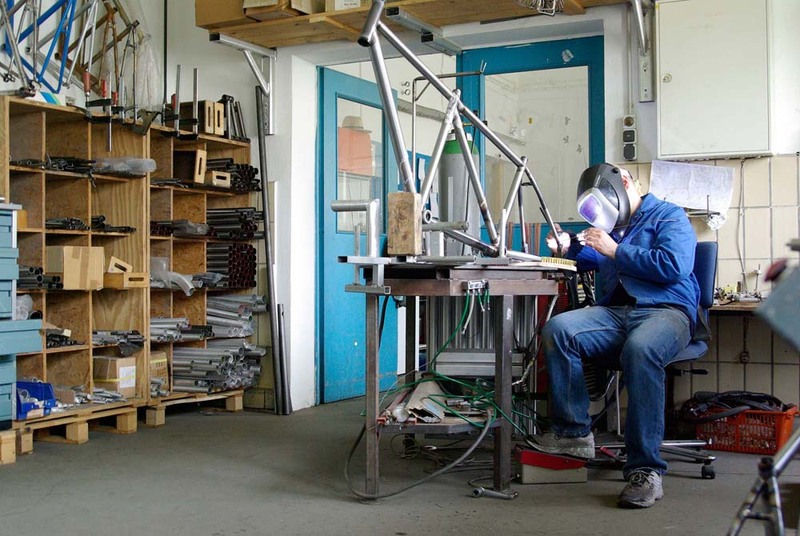 The goal was to crown project with a new tandem from a single source and to bring it to perfection. This time I needed a professional framebuilder. With Dietmar Hertel, which I would like to thank again at this point, I found the specialist who is well known not only for outstanding prototype framework., He advised me competentely in many technical matters, last but not least he helped with the selection of high-quality components with optimum performance ratio for a tandem and low weight. 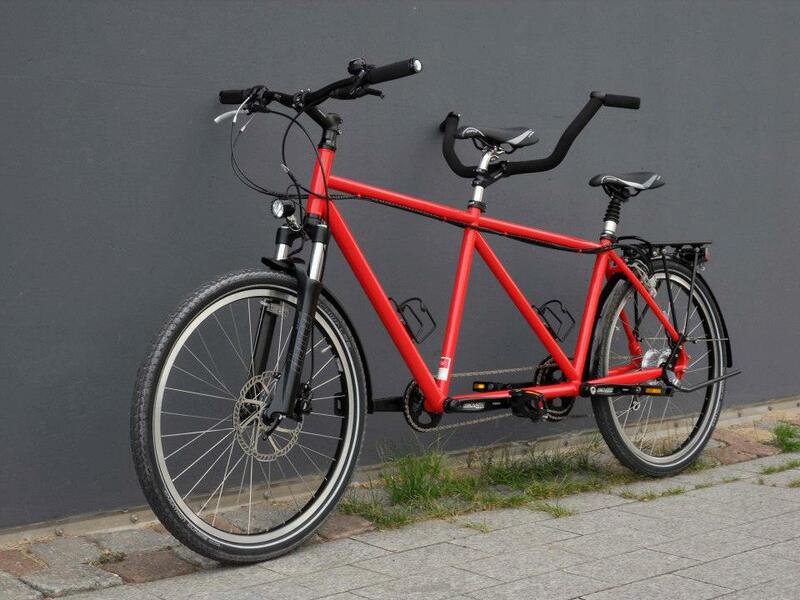 The masterpiece of this process is now named COMPACT Tandem.